Aireon has added Vincent Capezzuto to its management team as chief technology officer and vice president of engineering. Capezzuto is responsible for leading the design, development and implementation of the AireonSpace-based Automatic Dependent Surveillance-Broadcast system. Inmarsat has selected SingTel to serve as a Value Added Reseller for Global Xpress (GX) with an emphasis on Asian and African markets. Singtel will focus primarily on customers in energy and media, among other verticals. The companies will also collaborate on a wholesale, managed Ka-band service supported by GX. (Reuters) - Aireon LLC, a provider of satellite-based aircraft monitoring, said on Monday it will offer its tracking data for free to help authorities search for future missing planes. The system will go live in 2017, when its parent company Iridium Communications Inc finishes installing 66 next-generation satellites plus spares that will provide real-time data to air traffic control centers. New Design That Increases Performance and Reduces Costs for the Next-Generation Satellite Constellation is Now Ready for Manufacturing. Iridium Communications Inc. (Nasdaq:IRDM) today announced the completion of an extensive testing program for qualification of its new solar panel design for the Iridium NEXT constellation. The innovative array that powers the Iridium NEXT satellites, expected to begin launching in 2015, contains four solar panels and will span 9.4 meters when fully extended, developing more than 2 kilowatts of power over a demanding charging cycle in Iridium's low earth orbit. The panel was developed by Spectrolab, the world's leading manufacturer of high-efficiency multijunction space solar cells and panels, and Mitsubishi Electric Corporation (MELCO), a premier supplier of lightweight solar panel substrates. O3b Networks today confirmed that in-orbit testing of its latest satellites has been successfully completed and the satellites have been commissioned into its eight-strong Ka-band constellation. The first four satellites launched in June 2013 and another four in July 2014. O3b says that the constellation is now fully operational, allowing it to launch services on a global basis. The launch of a further four satellites is scheduled for early next year. 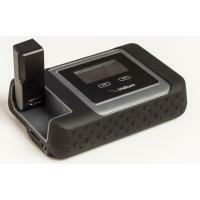 Covington, LA, Sept. 4, 2014 (Globe Newswire) Globalstar, Inc. has released its newest data solution, the Globalstar 9600™, meeting satellite phone owners' demands for fast and dependable communications when off the grid. With the 9600, Globalstar customers can now use a convenient app to seamlessly pair their existing satellite phone and smartphone to send and receive email over the world's most modern satellite network. In less than two months the United States Congress must make a decision on the fate of the Export-Import Bank, an independent federal agency designed to provide export financing when private banks are not able. The satellite industry around the world stands out as the quickest-growing market the bank supports, which makes this decision pivotal for satellite as a whole. The space industry is working with the US Department of Defense to help better shape the broadband requirements of unmanned air vehicles in years to come, an industry executive has revealed. UAVs are commonplace in many US military operations, but the full motion and high definition video capability that is continually required to be streamed from them means it continues to rely on commercial capabilities for satellite communications (SATCOM), Skot Butler, vice-president of satellite networks and space services at Intelsat General, says. today announced that Tony Navarra will be retiring after more than 20 years with Globalstar. Tony's retirement will become effective on October 2, 2014 and he will continue as a consultant for one year thereafter. His responsibilities and management duties will be divided between the current directors of satellite operations and satellite engineering, reporting to the CEO. INMARSAT said executives are talking to officials of airlines in the Asia Pacific region for installation of the satellite operator’s satellite-tracking system. “We are in discussions with a number of airlines in the Asia Pacific region regarding testing and use of ‘SB [SwiftBroadband] Safety’ over the next year, but we have not yet announced any specific airlines,” said Bill Peltola, Inmarsat senior director of Aviation Asia Pacific. Iridium Communications Inc. today announced broad availability of the world's first truly global mobile satellite hotspot. The new Iridium GO!TM connects to smartphones and tablets by creating a satellite-based Wi-Fi zone, dramatically extending voice and data coverage of these devices when they are out of range of terrestrial networks. 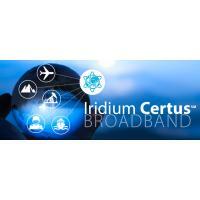 This first of its kind product is also the lowest cost device and service offering that Iridium has ever made, making global connectivity more affordable than ever. Global satellite solutions provider SES Government Solutions (SES GS) received General Services Administration (GSA) approval to offer O3b services on their GSA Schedule as of July 8, 2014. This allows SES GS to be the first distribution partner to offer O3b capability directly to the U.S. Government. Intelsat General Corp., an indirect, wholly owned subsidiary of Intelsat S.A., the world’s leading provider of satellite services, has been selected by the U.S. Air Force to participate in a half-billion-dollar, 15-year program to place government payloads aboard commercial satellites. 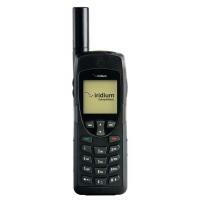 RedPort XGate Satellite Email Expands To Globalstar Sat-Fi, Iridium GO! Iridium has signed a major contract with a prominent Original Equipment Manufacturer (OEM) for use of its satellite services. Matt Desch, CEO of Iridium announced the win was one of multiple heavy equipment OEM customer deals the company has landed or is in the process of completing during the company’s second quarter earnings call, July 31, 2014.